I must admit… as much as I loved winter and waxed poetic every single time I spotted a snowflake dropping from the sky in my backyard, I’m completely in love with the idea of summer now. Though it’s “technically” not summer for a few more weeks, Memorial Day weekend always seems like the best time to launch the warm weather, the barbecues, and the vacation-planning. It’s also a good time to dig out the flip flops and shorts. Lucky me > it’s in the 80’s in my neck-of-the-woods this weekend, so I can happily state that summer has indeed arrived on time. Fresh berries are beginning to make an appearance at the market (on sale! ), and they are tasting pretty good too. 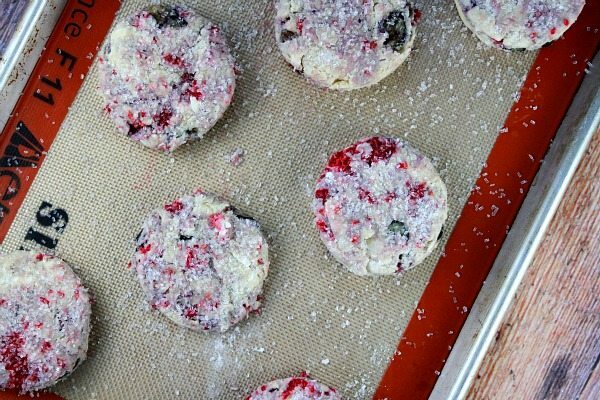 It’s the perfect time to make some berry scones! 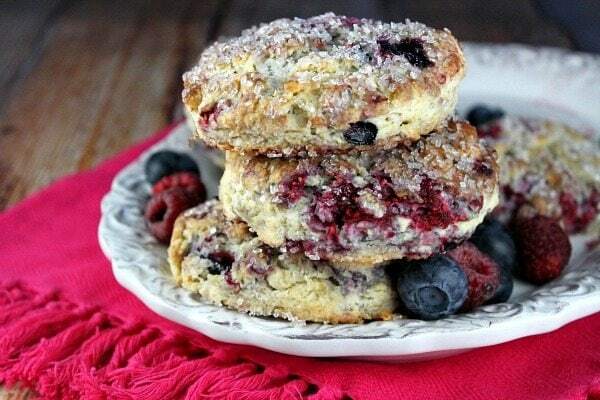 These are a simple cream scone with added raspberries and blueberries. I love that when you mix the berries into the dough, the tender raspberries get strewn about. That just means the beautiful berry flavors and colors are going to be abundant in every single bite. I get tired of eating triangular scones, so I cut mine into rounds. You can certainly make yours into triangles if you’re freaked out by circles. You can probably spot some pretty major sugar crystals on my scones. I sprinkled them with chunky sugar. That’s totally optional. These scones are awesome right out of the oven and smeared with a little bit of REAL butter. 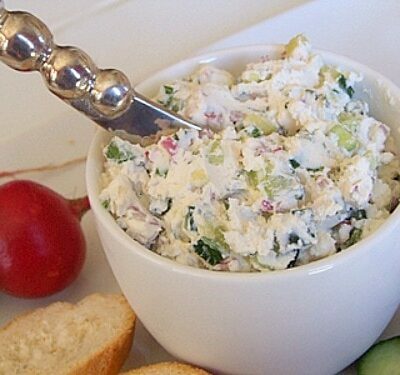 Then they’re good later in the day as an afternoon snack dunked in tea or coffee. They turn out to be a tender scone (believe me… I don’t like the cardboard/dry type that you buy at the coffee shops). And they freeze well- just wrap individually, freeze and defrost when you’re craving a scone. 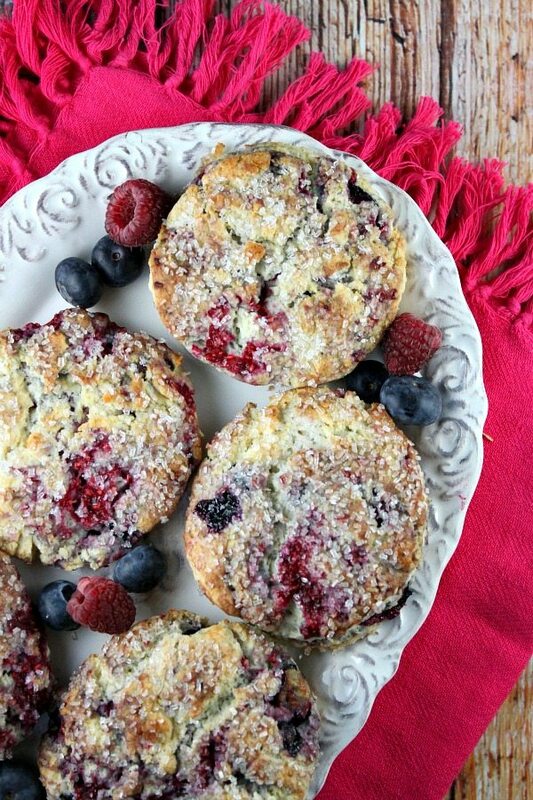 So grab some fresh berries and bake-up these summery berry scones. If it’s not warm yet where you live, crank the heat, put on your flip flops and shorts and pretend it’s already summer! 1. Preheat the oven to 400°F. Line a baking sheet with parchment or a silicone mat. 2. In a small bowl, stir the egg and cream together. 3. In a large bowl, whisk together the flour, sugar, baking powder and salt. Drop in the butter and, using your fingers or a pastry cutter, cut and rub the butter into the dry ingredients until the mixture is crumbly. 4. 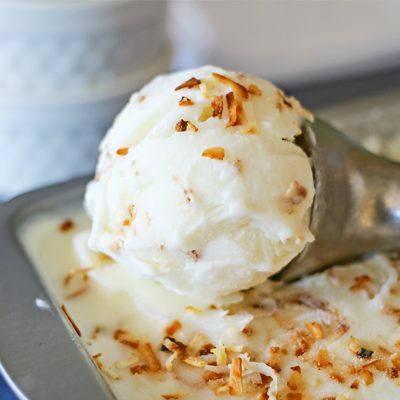 Pour the egg and cream mixture over the dry ingredients and stir gently with a fork just until the dough, which will be wet and sticky, comes together. Don't over-work it. Sprinkle in the berries, and -still in the bowl- gently knead them into the dough. 5. Lightly dust a work surface with flour and turn out the dough. Pat the dough into a rough circle that's about 10 inches in diameter, use a cutter to cut rounds and place them on the baking sheet (alternately, you can divide the dough in half, pat-out two rounds and cut wedges instead). Sprinkle with sugar, if desired. 6. Bake the scones for 15 to 20 minutes, or until their tops are golden and firm. Transfer them to a rack and cool for 10 minutes before serving, or wait for them to cool to room temperature. They are very good served warm with a generous smudge of butter. Can you prep this dough the night before for baking the day you want to serve them? Those are so pretty, Lori! And I love the change-up of making circular scones. 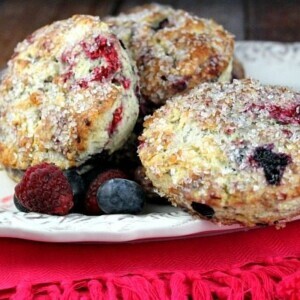 I love berry scones and those are looking absolutely amazing! The sugar crystals are giving them a great look! I just bought a bunch of berries! I need to try these scones! These scones are so pretty! I love all that sugar on top 🙂 And tender is the only way I like my scones! Pinned 🙂 I hope you had a great Memorial Day Lori! Wish I had one to go with my coffee right now! These look amazing! Hooray for summer! Hope you had a great memorial day weekend Lori! The big sugary crystals are so great, exactly what draws me to this. Love this, round or not! Thanks! I love berry scones! You can’t go wrong with the sugary top with those big crystals and all those berries! I adore scones! Especially filled with beautiful berries! Sharing! I made scones once and I did not get the result that I wanted. 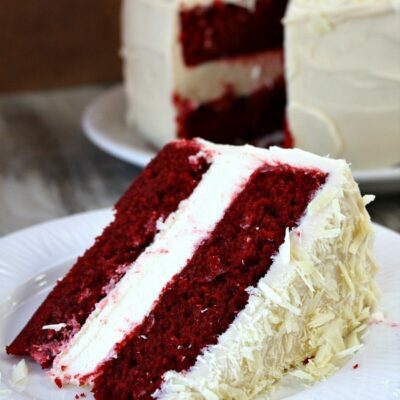 I am craving them now that I see your post and will try making them again. Wow these look unbelievable!! I still have never made scones but I promised I would try some this year! 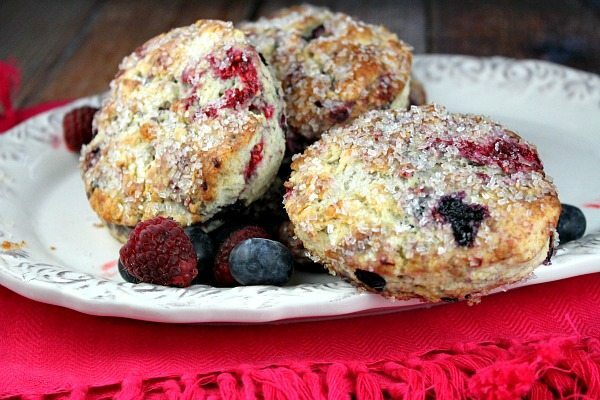 Berry scones are everywhere. Love this.